The temple is one of the most important temples in Kerala dedicated to Lord Shiva. It is situated on the side of fields known as ‘Vellottu padam’. spreads over a vast area of around 6 acres, with many sub-shrines, trees and ponds. There is a huge banyan tree in front of the temple. Another major tree in the temple complex is elanji tree, considered very important to Lord Shiva. The main idol is the swayambhoolingam of Lord Shiva, facing west. There is a shrine dedicated to Goddess Parvati towards the left side of Lord Shiva. There are four more shrines dedicated to Lord Shiva in the temple complex. One is considered the ‘moolasthanam’, that means the original seat of the Lord. It is called ‘Karanayil Temple’. The other three shrines represent the three steps taken by the Lord to kill Yama. 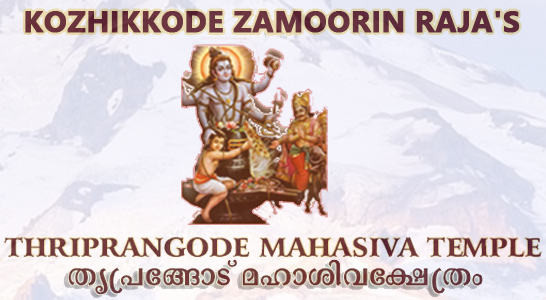 The temple is one of the most important temples in Kerala dedicated to Lord Shiva.